We are delighted to invite you and your friends to The Art of Remembrance with Kristin Darragh on ANZAC Eve, 24 April 2019. Celebrated Mezzo Soprano, Kristin Darragh, will sing arias and waiata and lead us in song together with the Off Broadway Big Band. Our MC for the night is journalist and broadcaster, Aziz Al-Sa’afin. We are also delighted to welcome the Hon Phil Goff, Mayor of Auckland, and Colonel John Holley, of the New Zealand Defence Force. Also an opportunity to see Auckland’s Category A Historic Heritage Place! Arrive early (from 6pm) to enjoy home-made hospitality. The band plays from 6.30pm and the main event begins at 7pm sharp when the bagpipes sound. The programme includes the National Anthem, The Last Post, and artworks of remembrance and peace. Please RSVP for hospitality purposes. And remember to share this invitation with your friends! For more information visit our website. On November 11, 2018, New Zealand and much of the world celebrates Armistice Day. The end of World War One. We mark this time of remembrance and celebration in creating this video on Warwick Freeman’s Southern Star – Te Tonga Whetu o Te Rangi. If you would like to support our cause to save St David’s - and would like to give a New Zealand heirloom, you can buy online or visit WORKSHOP stores across Aotearoa. Big thanks to WORKSHOP owner and director, Chris Cherry. The stars are also available at the Auckland War Memorial Museum store - thanks to the team at the Museum. It has been an eventful 2018 and a highlight was the Art of Remembrance project. No fewer than 150 volunteers supported the ANZAC project that ran over the four nights through driving wind and rain! Thanks to those who came on ANZAC eve – and worked with us (and the TV!) despite a few technical challenges! The live music was also captivating – the harp, Off Broadway Big Band, Fatherz and Sonz Choir, bagpipes and bugle. Click here to view the official Southern Star photo album. Big thanks to Jessica Chloe Photography for her superb work. Isn’t that an inspiring list of supporters! Incredible. Please feel free to share this newsletter and invite your friends to order their own Warwick Freeman star of peace now for Christmas by visiting www.rememberthem.nz/the-star. Orders are processed within a day or so (thank you Dawn Judge!). It has been a very eventful winter and spring for the Trust. Please read on for an illustrated summary of the highlights! A real highlight for us has been the huge generosity of the wider community and businesses supporting our projects and the bigger purpose. We are grateful for an anonymous donation to Friends of St David’s Trust. While our team works pro bono, and we are given huge amounts of support in kind, there are numerous hard costs that we have to cover. This anonymous donation could not have come at a better time with the Historic Heritage Hearing process to prepare for, coming on the back of our major ANZAC 2018 event. Together, we will save St David’s – for now and for good! Following a tradition begun when the RNZE chose St David’s Memorial Church as their home in 1928, The Sappers’ Memorial Parade and Service was held again this year on 14th of October 2018. It was held at the old hall next to the Memorial Church as the doors of St David’s remain closed. We are looking forward to the day those doors re open. Members of the RNZE / New Zealand Sappers together with the Hon Judith Collins whose father was a sapper. Auckland Council has proposed that St David’s become a Category A Historic Heritage Place. This proposal is widely supported by the wider community – across New Zealand. There was only one submission against. This resulted in hundreds of hours of work by many, many people, as far afield as Dunedin (thank you Dietmar Gsell and the team at the Presbyterian Archive). The really positive things to come out of this process are multiple. First, we have learnt a lot more about St David’s Memorial Church that further support its Category A Historic Heritage status. Next, we were wowed and delighted by the number of people who submitted in support, and equally by the quality of the in-person submissions. The in-person submission process is not for the faint-hearted. Yet many did it – people from all walks of life. Extensive preparation is required, and then getting in to the Council Chamber in the Town Hall, and waiting one’s turn to address the Independent Hearings Panel. Not for the faint-hearted – but no problem for the brave-hearted! We thank Brendan Abley of Chapman Tripp for his superb legal work and master-minding, Karl Cook of Barkers and Associates for his expert planning work and advice, and Craig Stevenson of Aurecon for his vital engineering work. Take a note of their names now for when you need them. Terry Mansfield of The Building Intelligence Group. We brought this history of St David’s together for the Historic Heritage Plan Change Hearing on Tuesday 2 October 2018. It distils 91 years of history. Big thanks to Jeff Smith of Deep Animation for his superb work and turning it around with lightening speed! As time permits we intend to refine it further and to acknowledge all friends in the credits. We are hopeful that the Independent Hearings Panel will agree with Auckland Council, and with the Expert Witnesses and the lay submitters, and that the Category A will pass into law. We will know within two months. The organisers of a record art fundraiser, which raised $1 million to save an historic soldiers' church in Auckland, are celebrating a new achievement. Hundreds of pure brass quatrefoils, similar to those used in The Art of Remembrance fundraiser at St David's Church in Grafton, will feature on a new memorial outside the Auckland War Memorial Museum. Te Pourewa Whakamaharatanga, The Tower of Remembrance will commemorate soldiers and nurses who served in WWI and also honours St David's Church on nearby Khyber Pass. It will be unveiled at a private ceremony on the morning of Tuesday, September 20 - 100 years to the day after Sergeant James Rankin, 28, of the New Zealand Field Artillery, was killed in action at the Somme in Northern France. The Mt Eden resident also served at Gallipoli and his family, including parents John and Margaret, worshipped at St David's where his name is listed on its Roll of Honour. New York-based New Zealand artist Max Gimblett has made the quatrefoils. Last year, he produced around 10,000 which featured in The Art of Remembrance and, from April to July, formed a shimmering golden façade on historic St David's, also known as the Soldiers' Church. They were then sold to raise money for the possible restoration of the church, built after WWI as a memorial to members of the congregation who served overseas. The $1 million from their sale and donations is believed to be a record amount raised through art for any cause in New Zealand history and may also represent the largest single donation ever made to a cause by an NZ artist. Mr Gimblett, 80, who grew up in Grafton and attended services at St David's, bases each quatrefoil on one of seven designs and hand screen-prints them onto pure brass. Each one is about the size of a soldier's outstretched hand. A small number are on permanent display at Te Papa in Wellington and in other collections of national significance. Paul Baragwanath, spokesperson for the Friends of St David's Trust, says support came from all over New Zealand and the world as businesses, organisations and individuals bought the brass quatrefoils -similar in shape to an ANZAC poppy - as permanent "artworks of remembrance". 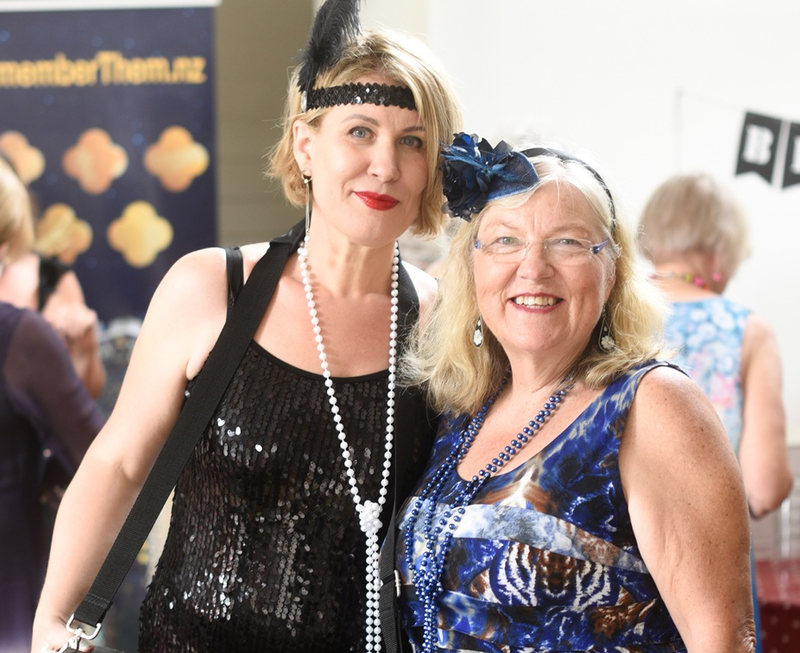 Auckland War Memorial Museum's director of collections and research David Reeves says the St David's fundraiser was inventive and eye-catching. Because the museum is always keen to find new ways to tell stories and display objects, it wanted to find a way of using the quatrefoils on its own site. "As a war memorial museum, we are always interested to see the different ways that communities commemorate the centenary of World War One." Te Pourewa Whakamaharatanga, The Tower of Remembrance will stand for five years and then a decision will be made on its future. Mr Reeves says it is a separate memorial to one planned by Auckland Council on the north side of the museum. In the meantime, the demolition of St David's now looks less likely than a year ago when the Friends had just $250. "To launch The Art of Remembrance project, we borrowed or were donated $150,000 and, 15 months later, we're left with $1 million after all the expenses," Mr Baragwanath says. "It is more than double the amount any other art project as ever raised in NZ history and goes to show art in service of heritage, memory and of this generation for the next. "Art has changed St David's story from bleak to bright, and it is likely a good part of St David's future will be in service of the performing arts. St David's has already served for nearly 100 years and has much to offer future generations in a variety of capacities, fulfilling its roles both as a church and as one of the country's major war memorials." But, the Friends still need a further $6 million toward seismic strengthening and restoration. • Auckland Council and the museum hold the Somme Commemoration on Thursday morning to mark the centenary of New Zealand joining the Battle of the Somme. The fighting lasted 141 days, but it was the bloodiest battle of the First World War with more than four million troops involved and one million casualties. New Zealand Division joined the offensive in mid-September with 15,000 men, suffering 6000 casualties and more than 2000 deaths. A million-dollar fundraising effort looks to have saved an old inner-city church which a year ago was being considered for demolition. The Presbyterian church was looking to knock down Auckland's 90-year-old St David's Church, after they were unable to cover the cost of restoring it. The church, which was built in 1927 as a soldiers' memorial church, meets less than 30 percent of the building code requirements and with a small congregation was closed by the Presbyterian church in December 2014. But hope has been restored after supporters of the church stepped in. 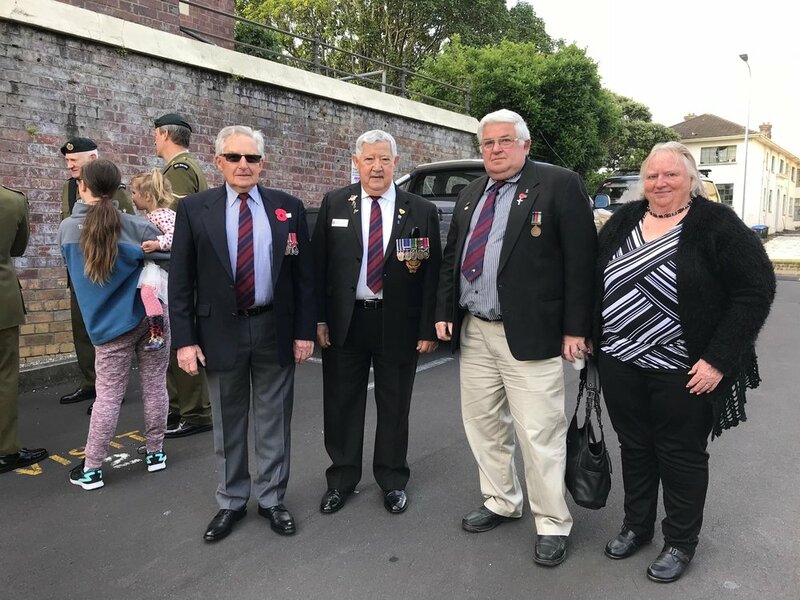 A national fundraising campaign was launched last Anzac Day as part of the country's First World War commemorations by the Friends of St David's Trust. A major part of the effort came from the New York-based New Zealand artist Max Gimblett who gifted thousands of brass quatrefoils which were hung on wires and then used them to cover the church in an art installation. Around 10,000 were later sold off to raise money. Friends of St David's Trust spokesperson Paul Baragwanath said just over a year ago the trust had just $250. "It's been quite a journey. Just over a year ago we had 250 dollars in the account and we now have a million dollars. What that means is effectively we've turned that ship around and the future of St David's is looking pretty good." He said Max Gimblett's donation was the largest in New Zealand history and the $1 million was the largest fundraised through an art project in New Zealand history. "Thanks to a great gift by Max and thanks also to tens of thousands of volunteer hours we've reached this milestone." Mr Baragwanath said while the cost of restoring the church was much greater, they had to show the Presbyterian church that there was a desire and will that the church should stay open. "What it means is that St David's future is looking bright. Having a million dollars enables us to support the owners of St David's and to protect it for current and future generations. "Obviously we have several more millions we need to find but we're quite confident that that is going to come. It's just a matter of letting people know what we're doing and we're pretty sure people will come on board and support the vision," said Mr Baragwanath. The vision is to restore the church and expand its use to serve more of the community and become a heart for the city. He said the quatrefoils had sold all over New Zealand but also overseas and had joined the collections of the War Memorial Museum and Te Papa. "I think that the art works captured people's imaginations. They were so very beautiful, they heard the story of the Soldiers Memorial Church and they wanted to support it. They wanted to remember this time of commemoration of World War One. "So I think there are all sorts of reasons why people supported but I think a key part of it is because they wanted to support St David's and see that it has a future for our country." New Zealanders have raised $1 million through art sales and donations in response to a national fundraising campaign launched on Anzac Day last year as part of country’s commemorations of the First World War. This is believed to be a record amount raised through art for any cause in New Zealand history and possibly also represents the largest single donation ever made to a cause by a New Zealand artist. New York based New Zealander, Max Gimblett ONZM gifted thousands of the Remembrance artworks, each based on one of seven designs hand screenprinted onto pure brass. The million dollars raised, net of all costs, is available to assist with the possible restoration of St David’s Church, built in Auckland’s Khyber Pass Road in Grafton following the First World War, as a memorial to members of the congregation who had served overseas and known as “the Soldier’s Church”. The Minister for Art, Culture and Heritage, Hon Maggie Barry, was one of a number of speakers at an event at the church today (eds Sunday July 24) to announce the total amount of money raised, and called on her broadcasting skills to interview Max Gimblett as the centrepiece for the public function. On Anzac Day last year, the Gimblett quatrefoils formed a shimmering golden façade to the historic St David’s Church in one of the most dramatic art installations ever seen in New Zealand, before being sold to homes across New Zealand and abroad,and going on display at Te Papa museum in Wellington. The project has formed a key part of New Zealand’s WWI commemorations, which are overseen by Minister Barry, and raised public awareness of the potential of inner-city St David’s to play an expanded role in the Auckland community. Paul Baragwanath, spokesperson for the Friends of St David’s Trust, says support came from all over the country as New Zealand businesses, organisations and individuals purchased the brass quatrefoils –somewhat similar to the shape of an ANZAC poppy – as permanent “artworks of remembrance”. “This has all been made possible by the incredible generosity of Max Gimblett, who donated these artworks to us at no cost and whose international reputation as a New York based Kiwi artist has helped drive local and international sales,” said Mr Baragwanath. Mr Gimblett (80), who received the ONZM last year, grew up in Grafton and attended services at St David’s during the ministry of The Very Rev Owen Baragwanath. The artist’s Auckland representative, Gow Langsford Gallery, donated all its commission to the cause and the St David’s congregation made the brick church available for the major art installation on its façade. Mr Baragwanath says project costs have been kept to a minimum through New Zealanders donating their time and skills for a cause which has caught the public’s imagination as New Zealand continues to observe the centenary of the 1914 –18 war which made such a big impact on the country and touched many families. Representatives of the Government, Auckland Council, Waitemata Board, iwi, the New Zealand Defence Force, RSA, New Zealand Sappers, and the Auckland community attended functions at St David’s as the campaign progressed and descendants of Cyril Bassett, the only New Zealander to be awarded a Victoria Cross at Gallipoli, were presented with a symbolic quatrefoil by current VC holder Willie Apiata. Bassett was a Sapper and married on the site of St David’s in 1926 – a year before the Memorial church was built and dedicated to his comrades. The Kamo Brick and Oamaru Stone St David’s Church, built in 1927 contains magnificent leadlight, memorial windows recognising the service of office bearers, soldiers and church mission involvement. It needs earthquake strengthening and restoration before it can play an expanded role in the community. “St David’s has already served for nearly 100 years and has much to offer future generations in a variety of capacities, fulfilling its roles both as a church and as one of the country’s major war memorials, said Mr Baragwanath. “Discussions about a potential expanded role which St David’s and associated land and buildings could play in the local community, if sufficient funds are raised, are already under way with the Presbyterian Church. Issued on behalf of the Friends of St David’s Trust 24/7/16. For further information or comment, please contact Mr Baragwanath on 021 521 574. A rare opportunity to meet celebrated New-York based, Grafton born artist Max Gimblett ONZM - and to hear about the record-breaking success of The Art of Remembrance project, and the single largest donation by an artist in New Zealand history. Gimblett will be interviewed by the Hon Maggie Barry, Minister of Arts, Culture and Heritage. The Art of Remembrance launched on ANZAC Day 2015 as a site-specific art installation of golden Max Gimblett quatrefoils on the walls of St David's - the WWI soldiers’ memorial church. The project has captured imaginations from Kaitaia to Invercargill and overseas, and the artworks have also joined New Zealand’s museum collections. All welcome (RSVP please), afternoon tea will be served, dress warmly. Koha to support the initiative to preserve St David's for current and future generations. On ANZAC Day 2016, following the Dawn Service at the Auckland War Memorial Museum, people from all walks of life gathered to Remember Them. And to pay their respects to the Soldiers’ Memorial Church that was built soon after WWI, so that we would never forget. A Friend of St David’s, Audrey van Ryn, played the flute, and those present laid a flower of Remembrance. A very special ceremony captured in these images. St David’s, ANZAC Day 2016. We will remember them. We will Remember Them. St David’s, ANZAC Day 2016. Te Papa Tongarewa reveals behind-the-scenes installation of The Art of Remembrance. Thank you Te Papa! The launch of The Art of Remembrance at the Museum of New Zealand Te Papa Tongarewa. The exhibition runs for three months. Keith Mitchell representing the New Zealand Sappers’ Association (RNZE) receiving his Max Gimblett ONZM Remembrance artwork from Paul Baragwanath, Project Founder. Photography by Michael Hall copyright Te Papa Tongarewa. Colonel Steve Watts represents the NZDF at the unveiling of The Art of Remembrance. Photography by Michael Hall copyright Te Papa Tongarewa. Brian Sweeney addresses the gathering and speaks on behalf of Max Gimblett ONZM. Dale Bailey, Director Collections, Research and Learning looks on. Photography by Michael Hall copyright Te Papa Tongarewa. Photography by Michael Hall copyright Te Papa Tongarewa. This fine publication features St David’s and The Art of Remembrance project. Friends of St David’s patron Liz Ebbett (right) joined by husband Richard Ebbett and friends. Image courtesy Maria Lazurenko. Friends of St David’s volunteers Olga Panova and Shirley Blackie. Image courtesy Maria Lazurenko. Friends of St David’s Judith Holtebrinck and Sarah Sparks. Image courtesy Maria Lazurenko. 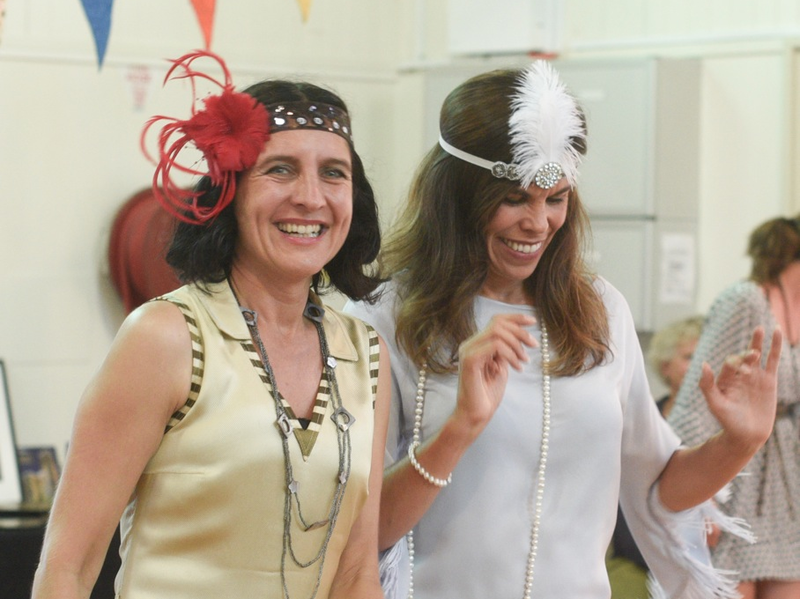 And… The Friends of St David’s volunteers who made The Roaring ‘20s party a roaring success. What a team! Image courtesy Maria Lazurenko. An historical ceremony. Corporal Willie Apiata, New Zealand’s only current VC, presents Mark Bramwell, grandson of the late Lieutenant Colonel Cyril Bassett, New Zealand’s only Gallipoli VC, and first VC of WWI, with a Max Gimblett ONZM, Remembrance artwork. Bassett was a Sapper, and St David’s is home to the Sappers’ Memorial Chapel. Bassett was also married at St David’s. Each Remembrance artwork represents a New Zealand soldier or nurse who served abroad in WWI. St David’s, with its foundation stone laid on Anzac Day of 1927, was built as the Soldiers’ Memorial Church. The Remembrance art installation adorned St David’s in the centenary of WWI. 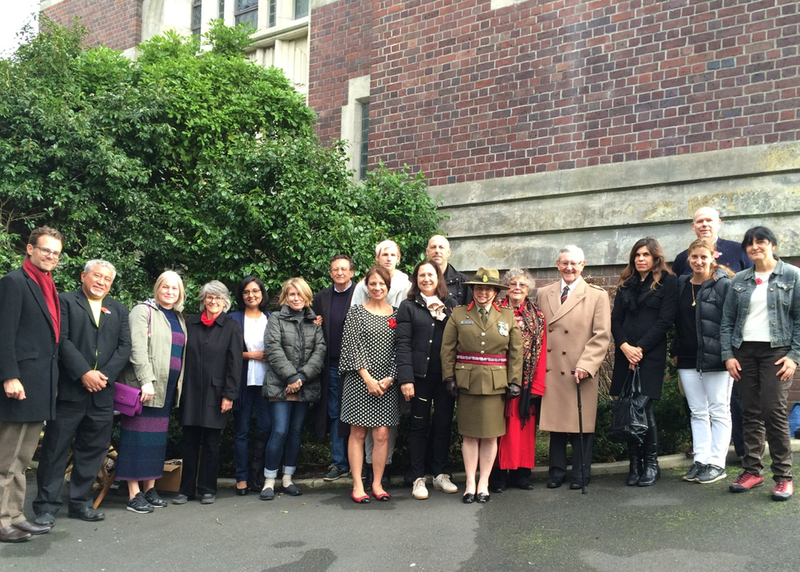 Remembrance was unveiled on the eve of Anzac Day 2015 by the Hon Nikki Kaye, MP, with the blessing of Ngati Whatua o Orakei, the support of the Congregation of St David’s, Auckland Council, representation by the New Zealand Defence Force, the New Zealand Sappers’ Association, and the New Zealand public. It hung as a public memorial for three months, and was closed by Ngati Whatua o Orakei, and Councillor Mike Lee, with representation from the New Zealand Defence Force, the RSA, and the New Zealand Sappers Association, in the presence of the Auckland public, on 23 July 2015. The Apiata – Bassett presentation marked the closure of Remembrance on St David’s. The following is a speech I made at a very special commemorative event organised by Paul Baragwanath and the Friends of St David’s on Thursday 23 July 2015. I wish to thank Paul Baragwanath and the Friends of St David’s for inviting me here to speak this evening. Apart from being the local ward councillor (Waitemata & Gulf) I am also the chairman of the Auckland Council’s Heritage Advisory Panel – and it was through this role that I first made the acquaintance of the remarkable Paul, the Friends, and of this wonderful church. In this season of remembrance – during the centenary of the Great War, it is important that we acknowledge the claim of the past and our duty to honour that claim. St David’s and what it stands for is an important element of that past. Not just a notable example of Auckland’s built heritage – but St David’s is also quite unique. St David’s was built with features, innovative for the time, for returned soldiers: a ramp for the wheel chairs of the disabled, specifically the many young men who had lost their legs, or who had been paralysed by battle wounds. There are also electric listening posts along the pews for the many who returned with their hearing impaired. The relationship with the military has been reinforced by the long association of the Royal NZ engineers with St David’s. The soldier’s church has stood resolutely and proudly on this site for more than 88 years. In recent times the future of St David’s has been under some discussion – there are financial concerns and the need to adapt to a changing social environment. But a group of congregation members, led by Paul Baragwanath have made it clear that they wish St David’s to be retained and to this end they have formed the Friends of St David’s. Many thousands of Aucklanders would agree with their cause. Certainly my Heritage Advisory Panel does. We wish the St David’s parish community well in their endeavours to find a solution. On the evening of ANZAC Day this year, (I know many of you were here for that event) which of course was the eve of the 100th anniversary of the Gallipoli landings, St David’s was reverently bedecked with a most special artwork. The artwork, by Max Gimblett ONZM, entitled ‘the art of Remembrance, comprises thousands of brass quatrefoils. Each quatrefoil has been silk-screen-printed with seven unique designs. I have remarked on their collective aura but taken individually each quatrefoil is the about the size of an outreached soldiers’ hand. The designs on each artwork are abstract – for some, they represent the human presence – perhaps even the splash of blood. For others they see in the quatrefoil, the form of a cross or the form of a flower. This artwork was a gift from Max to the Friends of St David’s and to the people of Auckland – but it has captured the imaginations of people right across New Zealand.. There have been responses and messages from Invercargill to Kaitaia. The quatrefoils have been a very popular means of fund-raising and I am told there are still some available. The Art of Remembrance display comes to an end this Monday. On behalf of the people of Auckland I want to say to Max Gimblett – thank you. And I also again wish to express my thanks and admiration to Paul Baragwanath and the Friends of St David’s. Saving St David’s for future generations would be a noble way of honouring the claim the past has on us – to honour the fallen soldiers and that generation of Aucklanders who built this church. To return to the theme of the Great War centenary, I wish to draw your attention to an auspcious forthcoming anniversary. The capture of the heights of Chunuk Bair in August 1915 was one of NZ’s greatest feats of arms and the nearest the ill-starred Gallipoli campaign came to military success. Hundreds of NZ soldiers – hundreds of Auckland soldiers – gave their lives in that heroic action. It was where Cyril Bassett earned the Victoria Cross. The centenary of the Battle of Chunuk Bair will be the 8th August, 2015. A memorial service and wreath laying to honour the memory of the fallen and the men who fought there, will be held at the Auckland War Memorial Museum at 11.00 am 8 August. New Zealand Pouhere Taonga views St David’s. The “5 – 10%” figures quoted by the Rev Lendrum in this article were mis-applied. Two structural engineering firms, including the author of the quoted figures, advise that St David’s can be re-opened, effective immediately. St David’s has in fact achieved 28% of NBS (New Building Standard), and has between 15 and 30 years to be brought up to the required 34% of NBS. The Friends of St David’s offers to fundraise for the full restoration of St David’s continue to be ignored by St David’s Administration, which continues to proceed with what appears to be a long-term demolition plan, unrelated to the seismic rating or current condition of St David’s. The Congregation of St David’s has dwindled, but it is likely that with 25,000 new dwellings projected for nearby, and an addition million inhabitants in Auckland, it can be renewed and continue in its role as a Church, war memorial and multiple other civic functions. The article quotes the Rev Lendrum who asserts that the removal of multiple heritage items, and the planned removal of the heritage pipe organ, “is to protect the items from damage that includes a leak in the roof”. However, two structural engineering firms advise that there is no evidence of any water ingress that would damage the organ. Organ experts also advise that the organ should be left in place. The Friends confirm that there is no evidence of any water damage to the organ, or damage to heritage items from any leak in the roof. The Rev Lendrum also quotes figures of “5 – 10% of the current earthquake standard. In so doing, the Rev Lendrum mis-applies these figures. Two structural engineering firms advise that the doors of St David’s can in fact be re-opened effective immediately. Support of the mezzanine staircase and entry ramps is a question of maintenance. The Friends have offered to pay for all such necessary remedial works. St David’s has a rating of 28% NBS (New Building Standard), and as such has 15 – 30 years to be upgraded to the required 34%. In the article the Rev Lendrum asserts that “no decision has been made” about St David’s future. However, St David’s Administration, lead by the Rev Lendrum, had in fact voted months earlier to demolish St David’s, with only the Presbytery, and the Church Property Trustees, refusing to allow the demolition consent. Heritage campaigners in Auckland say a plan to remove the organ from an inner-city church is a first step towards the 87-year-old building being demolished. 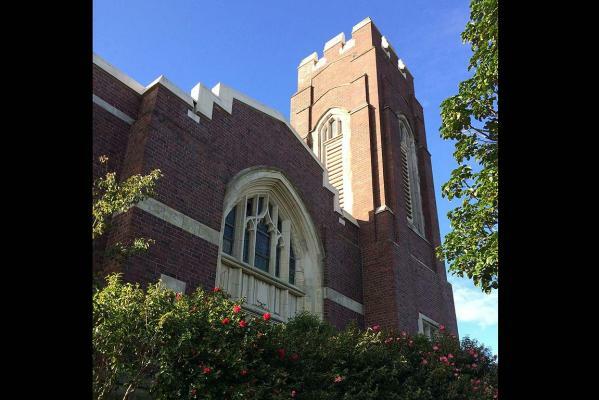 St David's Presbyterian Church wants to build a school on the site. The church building also needs extensive restoration. The group, the Friends of St David's, said without the resources to do both jobs, the decision had been made to demolish the church. Friends of St David's has offered to pay for an engineer's report for possible earthquake-strengthening. Spokesperson Paul Baragwanath said the church could be used as a performance venue and a place of refuge for inner-city residents. He described the move to remove the church's organ as a cynical ploy which was the next step towards demolition. But Reverend Doug Lendrum said the organ simply needed to go into storage to protect it from leaks. He said permission had been sought from the Presbyterian governing body to build the school, but pulling down the church was just one option. "We have requested that they consider permission to demolition, permission to borrow and permission to use our capital funds." In this article the Rev Lendrum is quoted as asserting that the historic pipe organ needs to be removed to protect it from leaks. However, two structural engineering firms have inspected the organ and advise that there is no evidence of water damage, and no evidence of water ingress, and that the organ should be left in place. The Friends confirm that there is no evidence of water damage. Rather, the Friends believe that the planned removal of the organ is part of a strategy to strip St David’s of its removable heritage contents to expedite the demolition consent process through the Environment Court. Multiple heritage items have already been removed. The Rev Lendrum also states that “pulling down the church was just one option”. The only other option presented to the Congregation was to sell St David’s and the adjoining land. Retaining St David’s was not on the table. Heritage campaigners fear an inner-city Auckland church is in imminent danger of demolition because the building needs considerable renovation to bring it up to earthquake safety standards. The group Friends of St David's Presbyterian Church say the building on Khyber Pass Road has national significance but could face demolition by the end of the year. But the minister and the congregation say they are still exploring various options for the church's future. Friends of St David's Presbyterian Church spokesperson Paul Baragwanath said not enough investigation had been done into strengthening the 87-year-old church. He said the building had a special place in Auckland's history and culture and that needed to be preserved. The minister, Reverend Doug Lendrum, said more information needed to be gathered about the building's safety and what repair work needed to be done before its future could be decided. "We are aware that this building, being a brick building, after the Christchurch earthquakes, is considered by authorities as being one at possible risk. "We've yet to determine the level of risk and that will guide our decision as to what path we take." Mr Lendrum said the congregation was considering various options for the building's future, one of which was demolition. He said other options were to build a school on the site or sell the land. At the time of publication, the Administration of St David’s, lead by the Rev Lendrum, had already voted to demolish St David’s. Their decision to demolish was made in the absence of a building report. St David’s achieved 28% of NBS (New Building Standard) which means that the Church has in fact between 15 and 30 years to bring it up to the minimum long-term requirement of 34% of NBS. The Congregation was presented with only two options: one being to sell St David’s and the adjoining land; the other being to demolish and develop. No option was given to the Congregation to retain St David’s, and the Friends’ offers to fundraise to restore St David’s continue to be ignored. A sky-high dining experience will raise funds for the battle to save a treasured feature of central Auckland's old skyline. The St David's Presbyterian Church on Khyber Pass shuts its doors today, and parishioners fear the 87-year-old building will be demolished by year's end. The church's foundation stone was laid on Anzac Day 1927 as a memorial to World War I soldiers. On October 22 the Uptown Business Association -- which covers the Eden Terrace, Grafton and Newton suburbs -- will host its "Uptown Rise and Dine" event, offering diners a three-course meal, plus views to die for via the seating arrangements on top of industrial scissor lifts. The proceeds from the Trade Me auction for one of the intimate tables for two will be donated to the Friends of St David's group who are fighting for the church's survival. The grandson of a long-serving former minister of St David's said the group was committed to doing all it could to save the "national treasure". "To just demolish it because it needs some support and some investment is wrong," Paul Baragwanath said. "We are going to do everything it takes to save this national treasure." The "Uptown Rise and Dine" event is based on the aerial dining phenomena, popular in the UK. Diners will be seated at tables perched between 6m and 8m in the air, providing panoramic views of Auckland's stunning skyline and harbour. To top off the evening, they will be able to tuck into a three-course dinner prepared and served by the award-winning team from Gina's Italian Kitchen. "It's a novel idea and we are happy that Uptown can be part of something truly unique which not only showcases our businesses but also our vibrant, exciting precinct which is definitely on the way up," Gary Holmes, general manager of Uptown Business Association said. Joyce Fantoni, co-owner of Gina's Italian Kitchen, said the popular central Auckland restaurant was excited to be involved in the venture. "We love the atmosphere we create here at Gina's but we're eager to get out of the kitchen and serve our food in such a novel setting," she said. Aside from the table auctioned for St David's, the other tables would be given to winners of various online competitions. Veronica Fioravante and Marco Ricci from Gina's are pictured serving diners Paul Pang and Kristy Burden as a practice run for the event. FACING DEMOLITION: St David’s Presbyterian Church, built on Khyber Pass Rd in 1927, may be torn down to make way for a new school. The race is on to save an historic inner-city church from demolition. St David's Presbyterian Church, built on Khyber Pass Rd in 1927, may be torn down to make way for a school after failing to meet new earthquake standards and decades of dwindling congregations. A new group called Friends of St David's is fighting to save the building and is registering a charitable trust to support its restoration. But St David's minister Reverend Doug Lendrum said the church feels it has no other option other than to tear the 87-year-old structure down. He says the church's operational costs are around $350,000 a year - unsustainable given the mounting maintenance costs and the regular congregation of only 40 people. An initial assessment of the building found it meets 28 per cent of the current earthquake standard for new buildings. The Building Act 2004 requires it to be no less than 34 per cent. How much it would cost to get the building up to standard is not yet known. Lendrum revealed plans to build a co-educational primary school on the site in 2009. St Marys Bay resident Helen Schnabel said the church is special to her family. "It was a huge part of my parents' life and my childhood and it would be so sad for it to get ripped apart like that. It holds so many memories for my family and so many others." If plans for the school stall, the church will have no choice but to sell up and move on, Lendrum said. "We haven't set out as a congregation with our priority on demolition, we have set out with our vision on the future," he said. "We've always known the condition of this building and the options for retaining it were outside our vision because we know the cost involved." But Friends of St David's founder Paul Baragwanath, whose grandfather and great-great-grandfather were both ministers there, said there is a way to save it with community support. "I understand the congregation does not want to compromise the future for the sake of the past," he said. "But my strong belief is that the past will sustain and nourish the school and the entire community." Baragwanath said the restored church could become the heart and soul of the school and could bring in revenue if used for events. Lendrum said ultimately he would be happy for the building to stay and be incorporated into the new development. "We've just got to be convinced that it's possible first." The church is awaiting permission from the Presbyterian Church Property Trustees, the building's legal owners, before it can apply for resource consent to demolish it and build the school. Lendrum said he wants the congregation to have the final say on whether the church stays or goes. "That's our next step - not because we're actually going to bowl it over in five minutes but it gives us the options to do something creative with or without this building and that's the freedom I'm after," he said. Heritage campaigner Allan Matson hopes demolition won't be advanced before the community and owner explore options to protect and conserve the building. "There are great examples of new architecture beautifully and functionally integrated with existing heritage - sadly not many in Auckland - but my hope is that Auckland Council will consider all relevant information as proposals develop." Go to saintdavidsfriends.org.nz for more information. The article states that “St David’s minister Doug Lendrum said the church feels it has no other option other than to tear the 87-year old structure down”. However, St David’s Administration, lead by the Rev Lendrum, had not sought any public support for St David’s restoration, and voted to demolish St David’s without a commissioning building report to determine its condition. With 28% of NBS (New Building Standard) St David’s has in fact between 15 and 30 years to be brought up to NBS. The Friends’ offer to fundraise for the restoration have been ignored. The Congregation was not given the option to retain St David’s. The $350,000 figure quoted for ‘operational costs’ is very high. Given the lack of maintenance over 14 years, this figure cannot be accounted for unless it covers wages and potentially charitable giving by the Church. The Rev Lendrum states that he would “ultimately be happy for the building to stay and be incorporated into the new development”. However, St David’s Administration has ignored the Friends’ offers to fundraise for the restoration of St David’s, and has continued unabated to proceed with long-term demolition plans. A church whose congregation helped to shape Auckland is facing demolition after failing to meet new earthquake standards. St David's Presbyterian Church, in Khyber Pass Rd, was built in 1927 of brick and Oamaru stone. It has a serene atmosphere with subdued light from stained glass windows erected in memory of parishioners who died in both world wars. In its heyday, it held three services each Sunday for a congregation including business, trade union leaders and governors-general. However, St David's minister Doug Lendrum said an initial assessment showed the building was at only 28 per cent of the earthquake design strength of the new building standard. The standard expected is 34 per cent. "We have major concerns and we are looking at options," said Mr Lendrum. One option was to apply for resource consent to demolish the building and use the site for a 420-pupil Presbyterian Primary School for years 1 to 8. The parish was awaiting approval to explore that option from the Presbyterian Church Property Trustees as legal owners. "St David's people have played a significant role in the establishment of Auckland from the mid-1800s and we think that heritage is the congregation's legacy and we want to recapture that opportunity of contributing to the city through a primary school." Mr Lendrum said it was not known how much it would cost to bring the church to the required standard without a detailed report. "The reality is any refurbishment of the church will be astronomically expensive and we have no money and a dwindling congregation." A group called "Friends of St David's" is registering a charitable trust to support its restoration and the creation of the new school. Founder Paul Baragwanath said the church could become the heart and soul of the new school and wider community. The Herald understands that Auckland's regional heritage organisation has asked for St David's to be considered for addition to the Auckland Council's heritage protection list. At the time of publication of this article the Session (the administrative body) of St David’s, lead by the Rev Lendrum, had already voted to demolish the Memorial Church building. Subsequently this decision has not been actioned by Session, nor agreed to by Northern Presbytery and the Church Property Trustees, the two central governing bodies of the Presbyterian Church of Aotearoa New Zealand. With a seismic rating of below 34% NBS (New Building Standard), under New Zealand Law there is a period of 30 years before plans need to be made to seismically upgrade the building to the longterm minimum being 34% NBS.